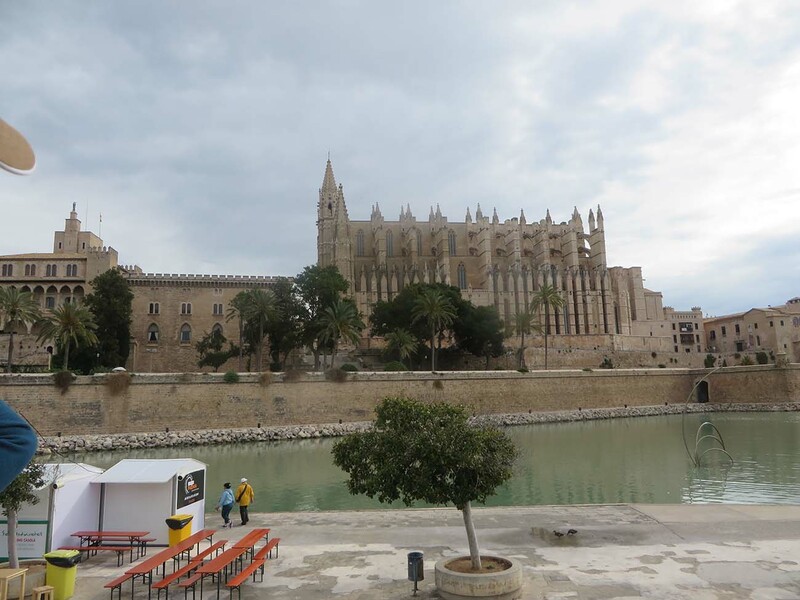 If you’re up for a tour of Western Europe from a lovely, floating hotel, try a 10-night Mediterranean cruise like I took — to Palma de Majorca, Corsica, Malta, Sicily, Naples, Rome, Florence and Pisa. It was wonderful! 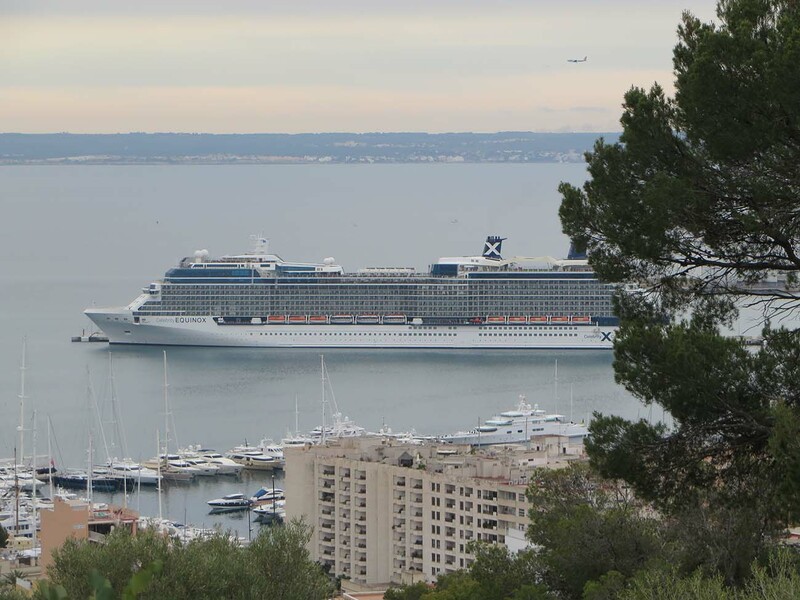 Before signing up for this cruise, though, I had to look up Malta, Corsica and Palma de Majorca on a map! 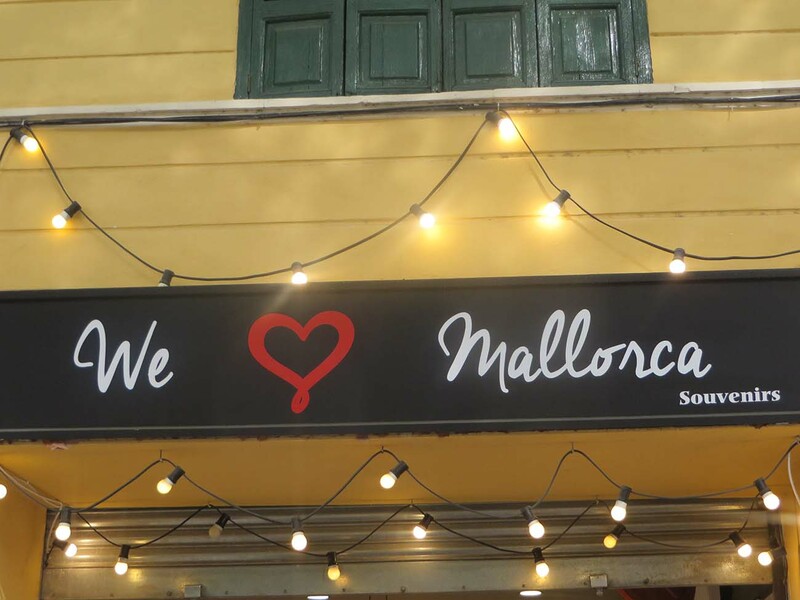 After departing from Barcelona, the first stop was Palma de Majorca. 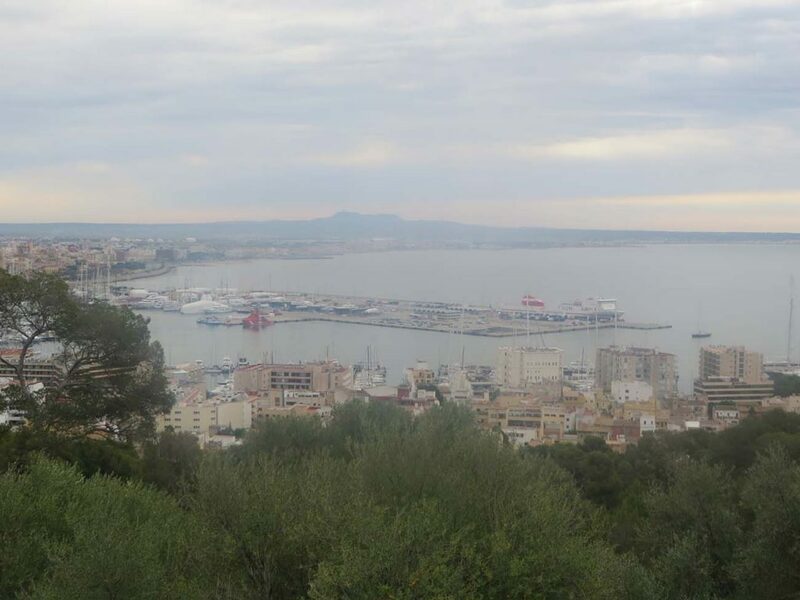 Palma is a resort city and the capital of the island of Majorca off the coast of Spain. 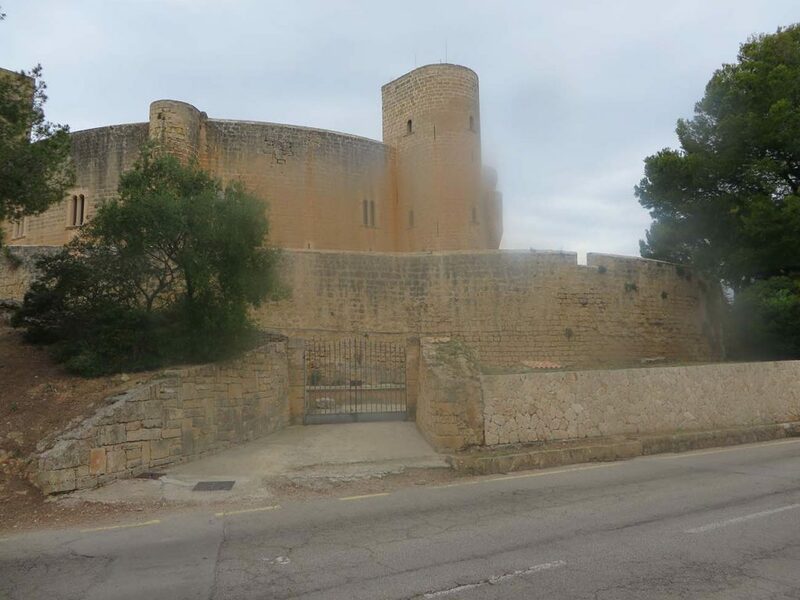 Took a guided bus tour to see as much as possible in a day and we went to Bellver Castle, a 14th century round castle at the top of a hill with a great view of the harbor. 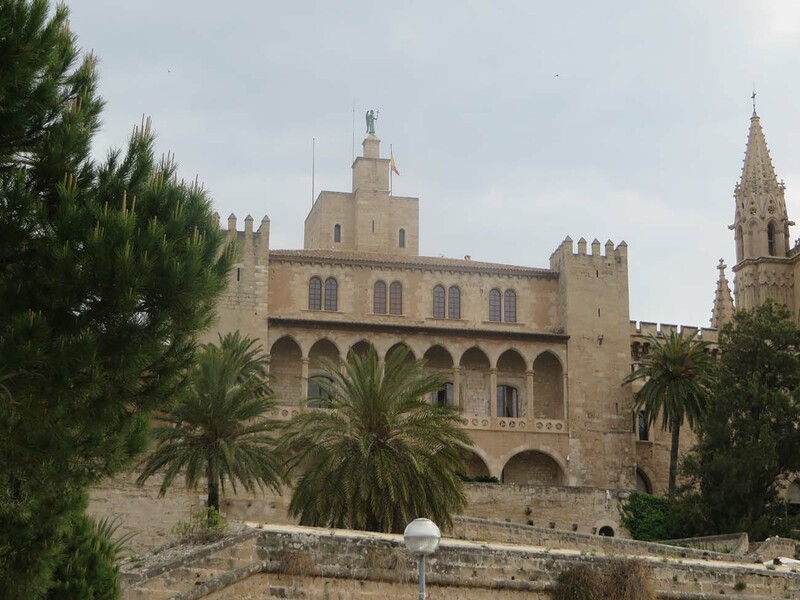 Also saw the Royal Palace of Almudaina, where the King of Spain spends the summer near the harbor. Next to it is the Cathedral of Santa Maria of Palma, which has the largest stained glass rose window in the world (which, unfortunately, we didn’t get to go inside to see). It was a beautiful, ornate building. 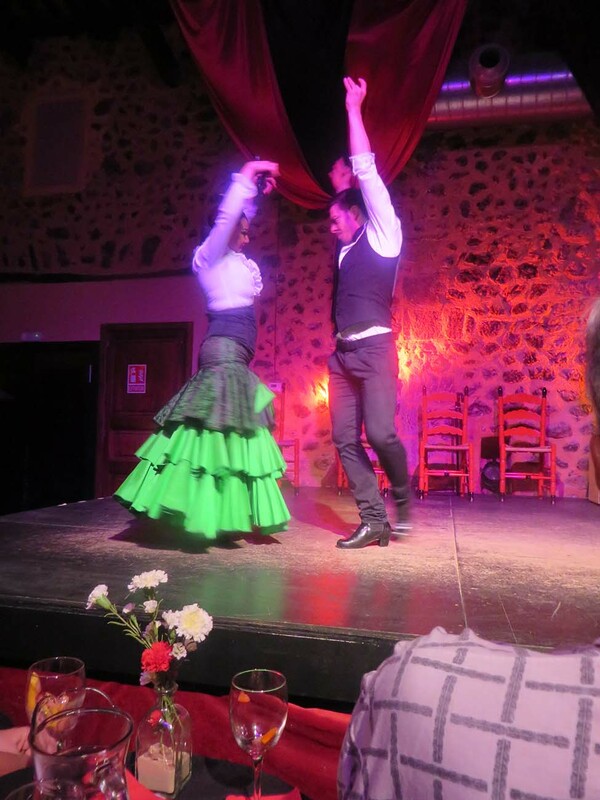 We boarded the bus then and drove into the country to a 16th century farm building (Son Amar) to see authentic Flamenco dancing. 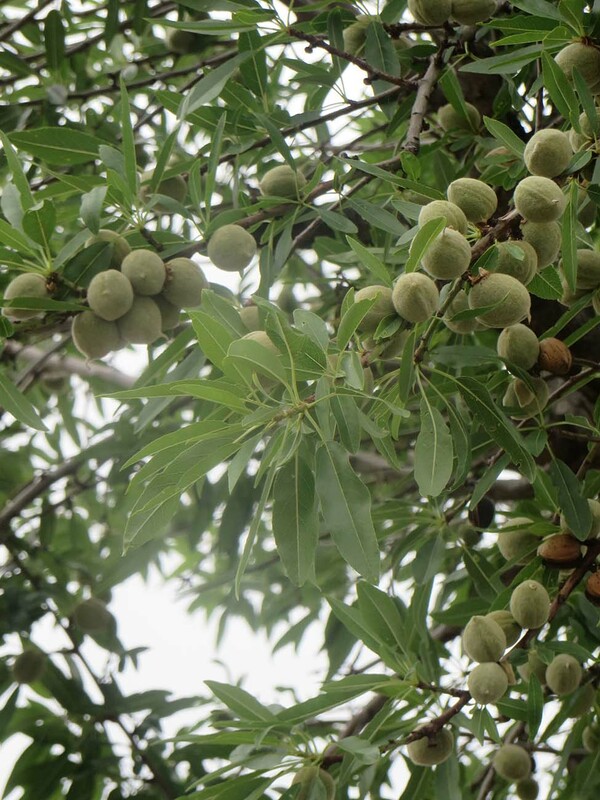 On the way there, the guide told us that Majorca has six million almond trees — and he pointed out a few! He also showed us their jail, which has a pool for the inmate and conjugal visits. 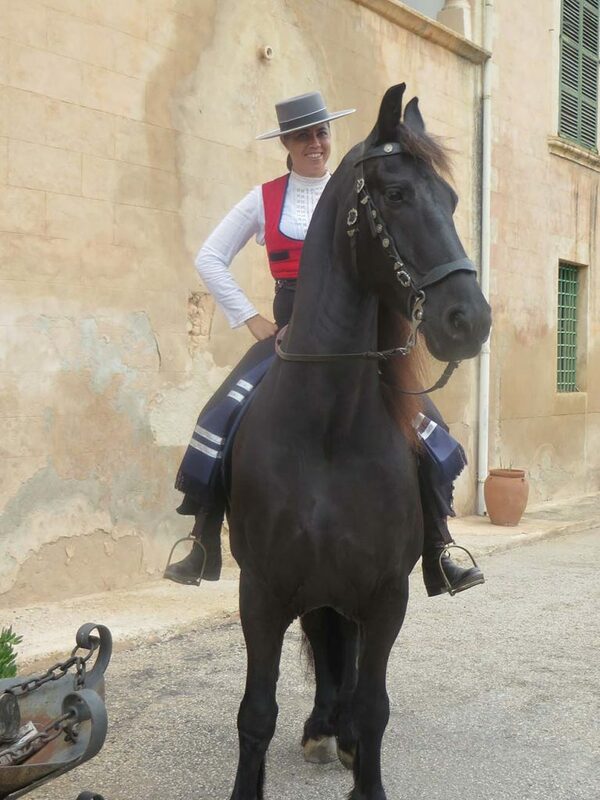 As we walked the path to the farm house at Son Amar, a Flamenco dancer on a horse greeted us outside the archway. We had a chance to pose for a photo with another dancer (couldn’t resist — see below). Once inside, we were served tapas and sangria before the show. 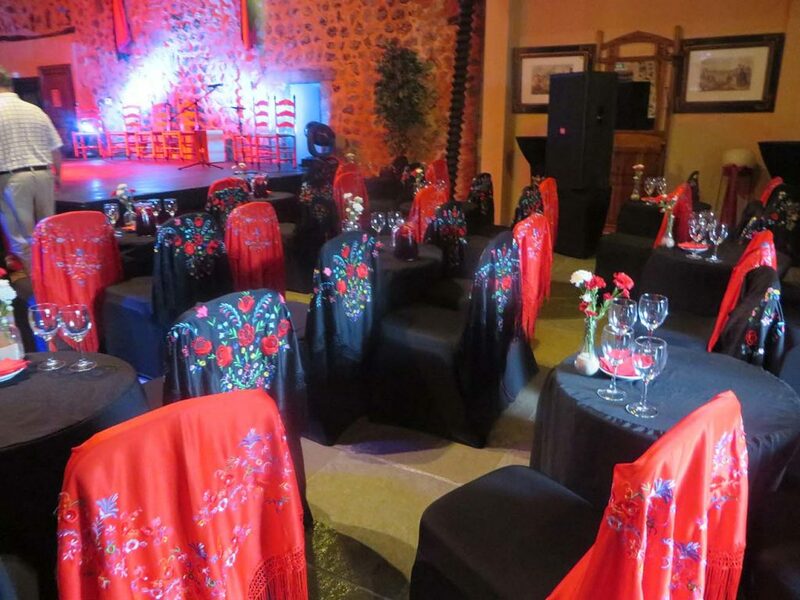 All the seats were covered with bright red, embroidered scarves and the tabletops were decorated with flowers. The dancers — both male and female — wore leather shoes with high wooden heels, and the women had bright flowers in their hair (just like you see on TV and in the movies!). They wore swishy skirts and danced on a wooden stage, where several musicians played. At various times during the performance, the male dancers pounded the floor with wooden canes — so it was a very lively show! After the show, we went to an area with shops and had about 40 minutes to browse. Since my luggage was lost again (yes, for the second European cruise in a row!) I bought a pair of sandals. 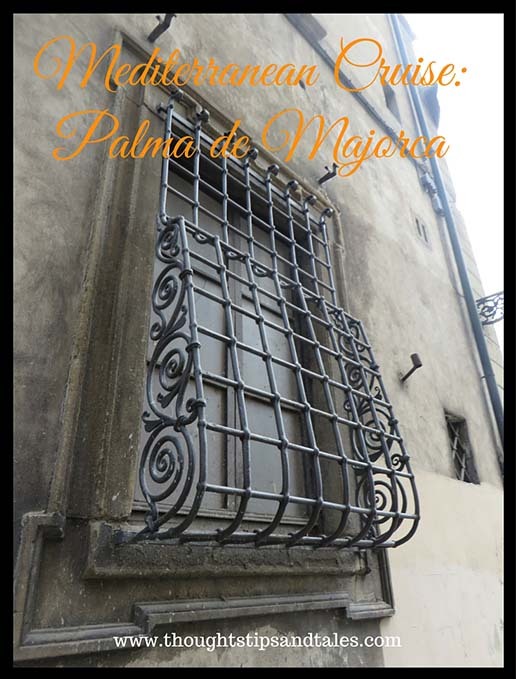 Palma de Majorca was beautiful and charming. If you get a chance to see it, go! 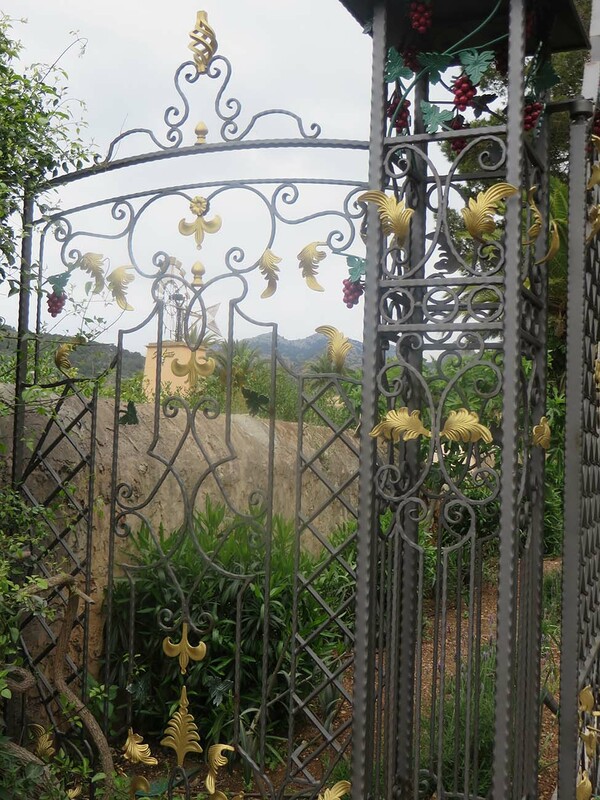 This entry was posted in mediterranean cruise, solo travel, travel and tagged cruising, flamenco dancing, Mediterranean cruise, Palma de Majorca, solo cruising, solo travel, Spain, travel. Bookmark the permalink. Looks great! 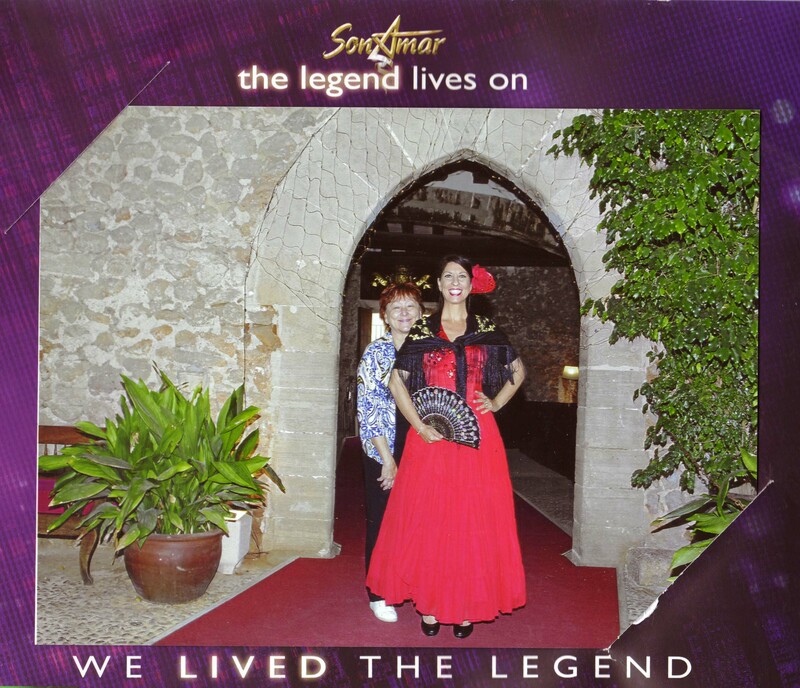 Is this your first time in Spain? Can you still understand native French speakers? Yes — and because my plane got rerouted at the last minute, I didn’t get to go on the tour of Barcelona scheduled! So this is all I saw. Wanted to use French — and even kept thinking in French — while I was out and about, but never got a chance to. Do you ever get to use it? Hi, I taught French in 90 and 91, and for about 9 weeks in 93. It was French I, though. Since then, I haven’t used it. I’ve downloaded books in French on my Kindle, and sometimes I’ll read a little. It’s easier for me to read it than to do anything else with it. That’s great you still found yourself thinking in French!